Many people in the fitness industry will be aware of the tragic death of a swimmer who drowned in a health club swimming pool a few years ago. According to newspaper articles, staff at the club were criticised for failing to carry out CPR correctly and it was also alleged that the defibrillator had been used incorrectly. In the subsequent court case, the jury at the High Court noted that there was no lifeguard on duty at the time of the death and it found that correct procedures were "not fully followed" by the club. "Resuscitation was incorrectly administered. It is unclear whether the correct resuscitation procedures would have changed the outcome," the foreman of the jury told the court. The club admitted health and safety breaches and was fined £100,000 plus costs for these breaches. This story is a tragedy for all concerned - for the swimmer and family and friends, for the staff who tried to help but unfortunately were unsuccessful, and for the health club, which had previously enjoyed a good safety record. The lessons here are to ensure all of your staff are adequately trained in Emergency First Aid at Work, that your Health and Safety procedures are adequate for the potential risks involved, and that you are checking that your procedures are being followed by staff. We can help you in all of these areas - to find out more, please contact us at info@ocfa.co.uk or call us on 01235 810619. "Was prepared to be bored all day prior to arriving. But Dawn was engaging and was very humorous." "Training was interesting and fun." Since 1 October 2013, HSE no longer approves first aid training and qualifications - and no longer approves first aid training organisations. This means that it is the employer's duty to ensure that any training provider that they select for the purposes of first aid training is competent to deliver that training. We think this is a terrible decision. This means that anyone can set themselves up as a First Aid training company without needing to go through any HSE approval! This puts all the risks on to the business as the directors must show that they chose a reputable training company. According to the HSE website, the client will need to "undertake varying levels of due diligence" into how their chosen provider will deliver the training that they require. Therefore, our recommendation is to ensure that you pick a training company that has previously been approved by the HSE (i.e. prior to October 2013). At OCFA, we were originally approved by HSE in 1998 and we have been providing first aid training ever since. To choose an approved training provider, please contact us at info@ocfa.co.uk or call us on 01235 810619. In this month's Hints and Tips, we look at spotting Strokes FAST. Use the FAST GUIDE (face, arms, speech, time) guide to assess the casualty. For example, a stroke can cause facial weakness, so casualties may be unable to smile evenly. A stroke casualty may only be able to move his arm on one side of his body. There may be speech problems and also may be weakness or numbness among one side of the entire body. Other signs to look out for include: sudden blurring or loss of vision, difficulty understanding the spoken word, sudden confusion, and dizziness, unsteadiness, or a sudden fall. It's important to act quickly by calling 999-112 for emergency help. Tell ambulance control you suspect a stroke. Reassure the casualty and monitor and record his vital signs-level of response breathing and pulse - until help arrives. Do not give the casualty anything to eat or drink: he will probably find it difficult to swallow. If the casualty loses consciousness, open the airway and check breathing. Be prepared to begin CPR. How Kay Embra saved her neighbour's life after receiving training from OCFA. Click on the picture to listen to Kay's amazing story on BBC Radio Oxford. 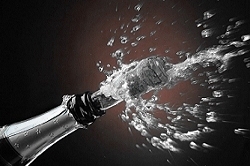 COMPETITION: WIN A BOTTLE OF CHAMPAGNE! Congratulations to Heather Delaney from All Saints Primary School in Didcot. Heather correctly answered that chocolate is produced from the cocoa bean and therefore wins a delicious box of Ben's Cookies! This month, we have a bottle of Champagne to give away, because one can never have too much Champagne! "Which country is hosting The 2014 FIFA World Cup Football Competition?" Email your answer and contact details to Jane at: info@ocfa.co.uk and we'll draw one winner from the correct answers on Friday 13th June 2014. In addition to the courses outlined on our website, our trainers also design bespoke courses to meet your specific requirements. 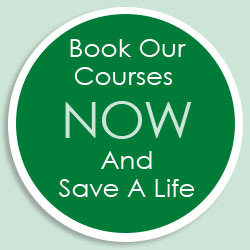 Licensed by the Health and Safety Executive, our extensive selection of courses can also be held your own premises.